It's a tough proposition to get the saxophone beyond its historical cliches of the subway, club, and concert stage. If anyone can do it Brian Sacawa may be that man. It takes technique, gumption, and some really hot music: "I'm looking for the kind of pieces that really warrant the violinist or cellist taking that hugely audible breath before they play something. The kind of stuff that makes you get goosebumps and want to scream, 'Yes!'" Sacawa went looking for music that captures that brand of complex energy to create this album, and in doing so has clarified what defines him as a musician. To start, he has focused on getting his instrument out of the sand trap it often finds itself in by selecting work by living American composers who reach a broad audience base. He did so even if it meant - as it did in the cases of both the Philip Glass and the Michael Gordon works included on the disc - taking existing pieces scored for other instruments and arranging them for the saxophone himself. Together with the extraordinary works penned specifically for the instrument by Lee Hyla and Chris Theofanidis, Sacawa manages to stack his deck. You can judge the emotional vibrancy of this collection of American Voices for yourself; just do the goosebump test. It is likely to turn out positive. Giving sax appeal to generations of American voices New music should be grateful to have Brian Sacawa in its corner. Idiomatically speaking, the Maryland-based saxophonist is totally at home with the blunt edges and pulsing machines that generally typify post-minimalist composers, although the instrument's great classical tradition reveals itself by way of Sacawa's prodigious breath control and agile tone shading. The "American Voices" Sacawa has curated for this compilation reach across several generations. Listening without a scorecard, the opening selection's subtle phase-shifting procedures cry out "early Steve Reich", yet the culprit is none other than Philip Glass! Lee Hyla's short and concise Pre-Amnesia makes telling use of short phrases and widely spaced intervals. In the booklet-notes, Erik Spangler (alias DJ Dubble8) describes the rigourous step-by-step process with which he assembled the electronic components of his contribution, but an impovisatory spirit dominates the dense and busy-sounding results (think of Miles Davis circa 1974-75). By contrast, the slowly unfolding Voice Within Voice by Keeril Makan is spartan and desolate, while the jagged edges of Derek Hurst's multitracked saxophone lines constatntly fly at each other and occasionally converge on a harmonious unison. Michael Gordon's The Low Quartet is an intense study dominated by short scales and punchy dissonant chords. Christopher Theofanidis provides the sole work for saxophone and piano here, and, as it turns out, the collection's most stylistically and emotionally varied contribution. American Voices is, without doubt, a CD you need. The performances by Mr. Sacawa are amazing and the music selected is equally so. This is music that every sax player you know needs to perform and that every music listener you know needs to hear. Brian Sacawa has done a masterful job performing and selecting music that showcase his instrument in as many different ways as possible. Each piece is radically different than the one before it and equally different to the one that follows. All of them are played with an ease and virtuosity that almost defies logic. This is an excellent recording. Period. Brian Sacawa's performance of Pre-Amnesia is wonderful. He plays this very challenging piece with elegance and passion, and he brings those same qualities to all of the music on this remarkable disc. It's a real pleasure to have been included. No, you haven't wandered into the wrong set of listings by mistake. Hybrid Groove Project is a collaboration between sharp new-music saxophonist Brian Sacawa (whose new CD on Innova, American Voices, is strongly recommended) and turntablist DJ Dubble8, a.k.a. composer Erik Spangler. The duo is joined by International Contemporary Ensemble cohort Du Yun in music by Spangler, Philip Glass, Eve Beglarian, and Jacob ter Veldhuis. Brian Sacawa is a first-rate concert saxophonist who, though not yet 30 by August 2007, has risen to the top of his game. Sacawa is very plugged into the downtown New York arts/composers scene, collaborating with Hugh Sung, Eve Beglarian, Beata Moon, and his own group, Hybrid Groove Project, where he is joined by turntablist Erik Spangler. Yet that has not prevented him from appearing as a soloist with more ostentatious instrumental bodies such as the Detroit Symphony Orchestra or the U.S. Army Field Band. Innova's American Voices is Sacawa's first solo recital, and from the very beginning you can tell that variety and eclecticism are the rule of the day, as it shifts from the fluid modality of Philip Glass' early Piece in the Shape of a Square to the jagged, twisted fragments of Lee Hyla's Pre-Amnesia. Spangler is heard, along with that rare commodity in a classical work -- a drumbeat -- in "pastlife laptops and attic instruments," a good example of the kind of work Sacawa undertakes in Hybrid Groove Project. Sacawa is heard in a wide variety of contexts -- with pianist Wenli Zhou in Chris Theofanidis' Netherland, with electronic sounds in Derek Hurst's Bacchanalia Skiapodorum, with himself in Michael Gordon's gnomish The Low Quartet. Perhaps the most striking and challenging of the pieces here is Keeril Makan's Voice Within Voice, which more or less sidesteps the presence of the saxophone's reed and utilizes the instrument as a kind of amplifier for breath. 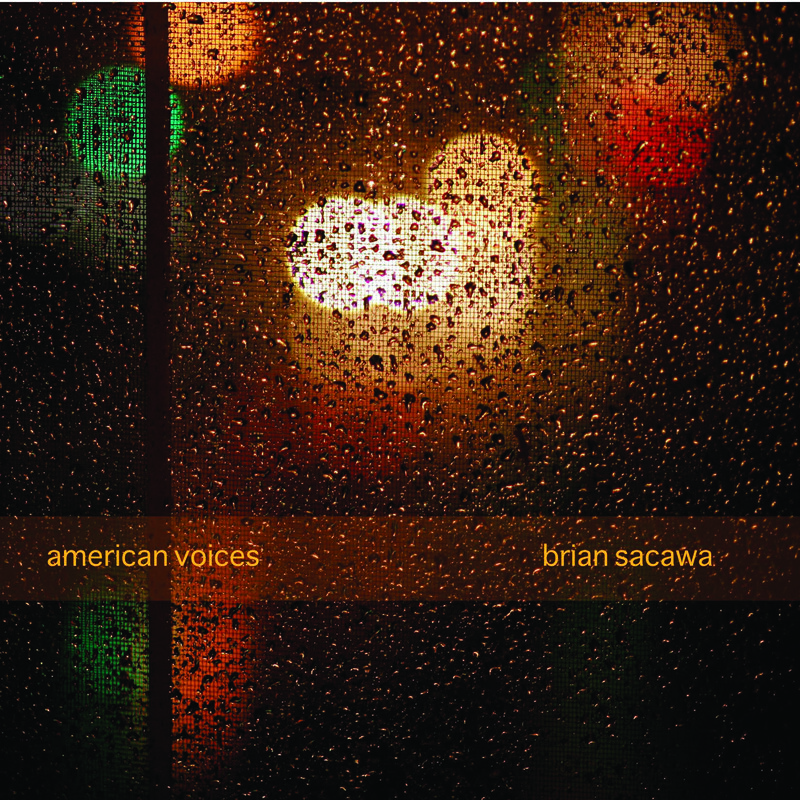 Brian Sacawa's American Voices makes an excellent case for Sacawa's skill as a player, but it also provides insight to the wide variety of options that composers are making available to artists of his caliber and specially developed talents. Rest assured, with players like Brian Sacawa on the scene, guys like John Harle should be running scared.